Perhaps it is time to introduce reality to this sense of entitlement. Let us say that we apply the same rules as apply to stock brokers. Accept a bribe and it is felony. It will not stop the practice but it will eliminate most of the doctors from the game simply because they are making way too much money to really care about kick backs. The crap obviously has to end and the age of medical authority is now beginning to evaporate anyway. Soon enough, doctors will be backed up by intelligent diagnostic systems and other protocols that rely less on his outright intuition and experience than on ample biochemical profiling. The current reality is that half a diagnosis comes from the patient and the other half from the doctor. Thus an intelligent program already can get most of the information and combined with what will be a blanket workup, the program will be in a better position than the doctor. Right now there is ample evidence that cancer can be generally brought under control at the least and even eliminated by the simple application of intravenous vitamin C combined with a healthy alkaline diet. This should become the first step in cancer treatment simply because it will recondition the body and possibly defeat the cancer. If not, the patient will still be in a superior position to handle other treatments. So why are doctors not getting behind this process right now? In fact there is no excuse whatsoever and doctors can read as well as I can. (NaturalNews) Prozac. Cialis. Cymbalta. If you have a television or read magazines, you've heard of their drugs. 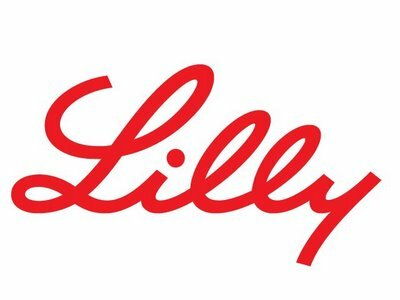 Eli Lilly, out of Indiana, makes billions of dollars every year off the sale of their patented chemicals, which are used to suppress the symptoms of disease in the human body. Founded by a chemist in the late 19th century; today the pharmaceutical giant has offices in 18 countries, and its products are sold in 125 countries, with revenues exceeding $20 billion annually. Most of their arsenal is available in other countries for much less money than it is here in the United States, as is the case with most prescription medication. The reason, the pharmaceutical industry claims, is that the health care systems of other countries demands affordable medication, and they need somebody somewhere to foot the research bill, so they can get the next patents lined up before others expire, allowing generic versions of their drugs to become available on the market. That leaves us Americans, with our broken healthcare system, footing the bill of their continued financial success. We're not only footing the bill, we have to deal with how the pharmaceutical machine warps the medical system. While historically a trade secret, it is standard operating procedure for pharmaceutical giants to pay doctors and other healthcare professionals to promote their drugs. Seducing doctors into becoming mouthpieces for a share of their bottom line is where it begins, but it ends up dictating your options. Beginning in 2012, all drug and medical device companies will be required to report their promotional expenditure numbers to the federal government, but several companies started disclosing their information in 2009. According to the disclosed information, last year Eli Lilly paid out more than $200 million in payments to doctors and healthcare providers for promoting their drugs. ProPublica.org's Dollars for Docs database is tracking 11 other companies' disclosures as well. The reason this information has been disclosed in Eli Lilly's case is because Eli Lilly was involved in a criminal settlement, and was ordered to disclose these payments, since 2009. They agreed to pay $1.4 billion to settle criminal and civil allegations of promoting drugs for unapproved uses. An official from the FDA testified in a court of law that Eli Lilly concealed the risks of its schizophrenia drug Zyprexa from U.S. officials, knowing the serious health risks it caused. They defrauded Medicare/Medicaid and blatantly put profit over the concern of the consumer. The disclosure documents say the payments were for speaking, consulting, and research, as well as travel and meal reimbursement. You can look up the breakdown of the payments; how much was paid into your state, if your doctor was among those paid. The data provides insights into how firms adapt their strategies over time, even though complete analysis has proved challenging. So few companies report their data, and the data that is reported is inconsistent in both content and format. Its unclear exactly how much money is being spent where, and by whom. Needless to say, there will be more on this story in the future. The transparency of the newly required disclosures has some companies reevaluating the current strategy. Most of the pharmaceutical giants have begun to reduce their promotional expenditures, since they started disclosing the figures. Most of them offer explanations such as, "normal year-to-year fluctuations." Experts predict physicians will begin backing away from these arrangements as well, as the increased scrutiny of the pharmaceutical sales practices also exposes their names and pay. Some doctors are raking in a quarter of a million dollars, but actually claim they "wouldn't want the appearance of being influenced by anything the company gave" them. Interesting choice of words, huh?